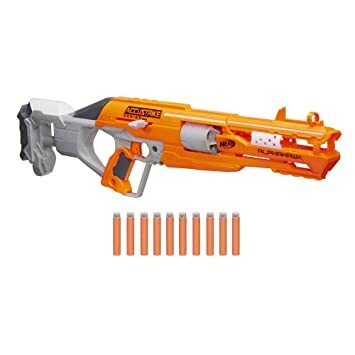 Nerf N-Strike Deploy CS-6 Dart Blaster is on sale at Amazon.com for just $9.99 (reg. $24.99). This is a good toy gun. It shoots quite far and has a light. It can also transform. Although it only holds six darts but overall it is a good buy! Nerf Zombie Strike Sledgefire Blaster – choose frustration-free packaging, Only $14.66 (reg. $27.99! 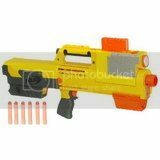 ), 而且这个Nerf gun quality for buy 1 get 50% off promo. Buy 2 and you’ll pay just $21.99 (after discount), just $11 per Blaster! Amazon now you can buy this highly rated Nerf Rival Apollo XV-700 Gun in frustration-free packaging for only $17.75 (regularly $30.99)! This deal includes the Nerf blaster, 7 rounds, a magazine and instructions. The Lawbringer Blaster comes with 12 darts and fires without reloading from the rotating barrel. Target.com now you can get this Nerf Star Wars Captain Phasma Blaster on sale for just $31.99 (regularly $44.99)! Minus the 25% off instant discount at checkout. Final cost $23.99 shipped! Amazon.com (Prime Members only) are offering up this Nerf N-Strike Elite AccuStrike Series AlphaHawk for just $12.97 (regularly $29.99). This AlphaHawk blaster fires one dart at a time from a revolving, easy-load drum that holds up to five darts. This pack includes a blaster, a bolt (2 pieces) and 10 darts. Walmart.com now you can get this Nerf N-Strike Elite Mega CycloneShock Blaster for just $10.99 (regularly $19.97). Choose free in-store pick up. This blaster comes with 6 Mega Darts that scream as they fly through the air and also has a rotating drum that lets you fire six mega darts without reloading and can hit targets up to 90 feet away. 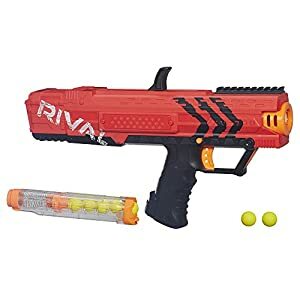 Walmart.com now you can get this NERF Rival Khaos MXVI-4000 Blaster in red for just $33.88 (regularly $69.99)! Free in-store pick-up. This NERF blaster has a fully motorized trigger, front and rear sights, a trigger lock, and more. Plus it includes a 40-round magazine and 40 Nerf rounds! 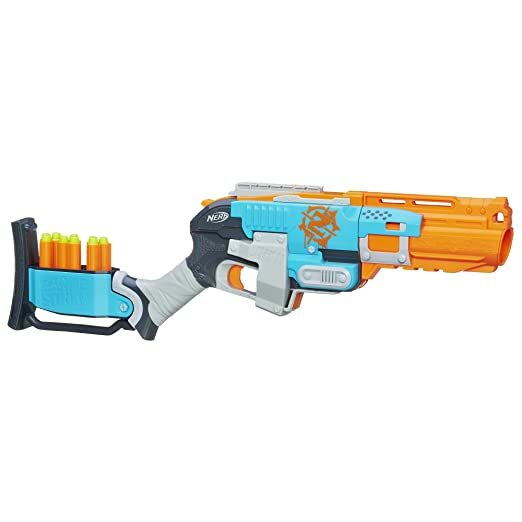 Walmart.com now you can buy this Nerf Modulus Recon MKII Blaster for only $11.11 (regularly $24.97). Choose free in-store pick up. This blaster comes ready to customize into 4 different designs, and is capable of firing Nerf darts up to 90 feet! 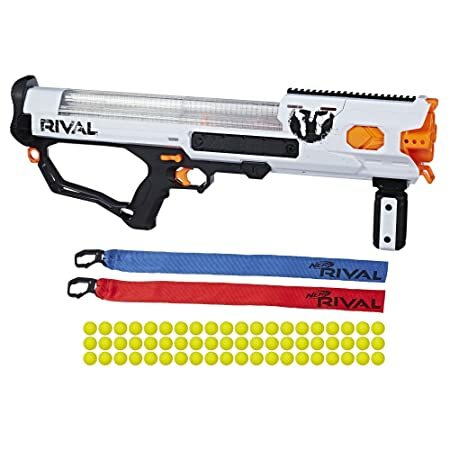 Hurry, Walmart.com now they are offering up several awesome deals on Nerf Blasters, Refill Darts and more. Through February 24th, on Target where you can save up to off select NERF toys both in-store and online! 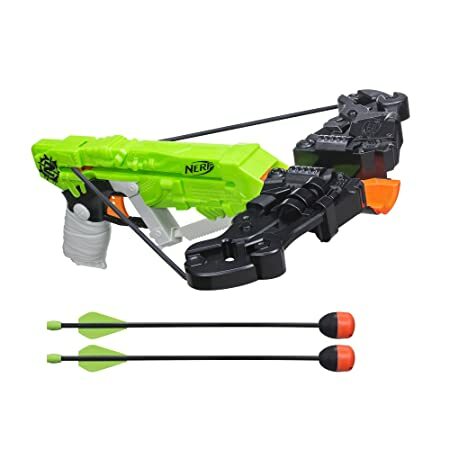 On Amazon.com you can now get this Nerf N-Strike Elite Accustrike Raptorstrike for just $20.99 (regularly $49.99) – lowest price! This Nerf gun comes with 18 darts, bipod legs that adjust to your perfect height and a pop up sight to make sure you never miss your target! Through March 24th, Target is offering Buy 2 & Get 1 Free on select NERF toys both in-store and online. No promo code is needed as the discount will automatically apply during checkout. This HUGE Nerf gun has a rotating drum, bolt action firing and 10 elite foam darts for greater accuracy. 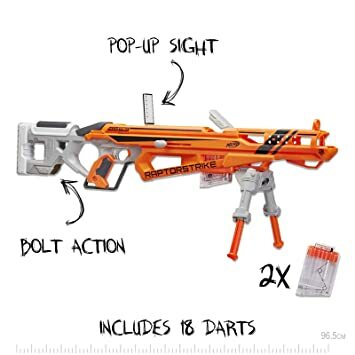 While supplies last, go to Walmart.com where you can now get this Nerf Jolt with 75 Dart Refill for only $9.98 (regularly $19.99)! This seems like a great price as the same set is selling for $19.99 at Amazon.com. This compact size Nerf gun is a single-shot blaster and comes with 75 darts! On Walmart.com you can now get this Nerf Nitro FlashFury Chaos Toy for only $9.97 (regularly $28.88). This Nerf set lets kiddos create awesome stunts when they fire foam cars from the blaster. It has three cars that fire in a row without reloading, and the targets shoot in the air when the cars hit them. 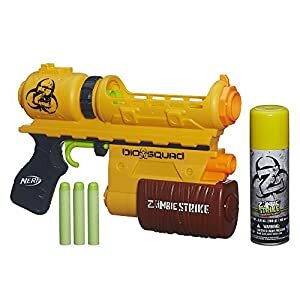 On Amazon.com you can now buy this NERF Zombie Strike Wrathbolt on sale for just $11.45 (regularly $16.99)!